It is my great pleasure to communicate with you through GULFMET website which has been renovated to cope with the progress that has been made since the establishment of GULFMET in June 2010. 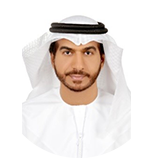 In this occasion, I would like to thank in particular the GCC standardization Organization (GSO) for the sincere efforts in taking this important initiative to create and host GULFMET with a view to encouraging cooperation and exchange of expertise among GCC countries in the area of metrology. 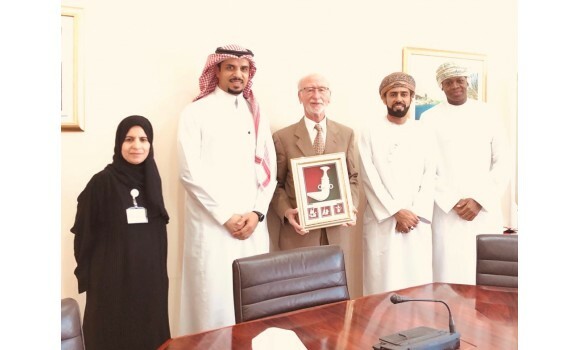 GULFMET took significant steps in establishing its infrastructure and building its technical capabilities in order to demonstrate sound competency required for its International recognition as an RMO within the meaning of CIPM MRA. As a president of GulfMet perhaps this is the last time that I will be talking to you via this issue of eGulfMet. We have been together for almost 6 years now, and soon it is time for me to leave. Bet before I do, I would like to share with you some thoughts, It has been an honor for me to be part of the team and I am grateful for the opportunity that was given to me to serve the metrology community in GCC. We, as a metrology community in GCC, are witnessing the progress made in the field of metrology in the last few years. It is important to highlight that, the main Strategic objective of GulfMet is to focus on helping GulfMet member states to meet international requirements for global recognition of their Calibration and Measurement Capabilities (CMCs). strengthening their position and GulfMet status within JCRB. Regional Metrology Organizations (RMO) such as GulfMet is a venue, for cooperation among national metrology institutes and designated institutes. In response to the increased needs of our area for traceable and reliable measurement, GulfMet has been established with the aim to enhance the metrological infrastructure and activities within the aim to enhance the metrological infrastructure and activities within the member states, and to ensure the technical capabilities of national metrology institute and designated institutes participating in the GulfMet as an RMO. In the first issue of e-GulfMeT, the reader will find information about our organization’s activities which provide opportunities of cooperation and exchange of knowledge, experience and infrastructural support in metrology. achieving international recognition as an RMO . We are looking forward to your sincerely comments JOIN US . GULFMET is an excellent platform to promote communication, exchange of information, transfer of knowledge among Member States, and to enhance metrological capabilities. Needless to say, that involvement in the GULFMET activities is of prime significance to keep you updated with new development in metrology. Creation of GULFMET and its recognition by JCRB within short period of time is a success, and shows its dedication toward enhancement of calibration and measurement capability of its member states and it is a great platform for exchange of knowledges. As an associate member of (GULFMET), TUBITAK UME has been in collaboration with it since its establishment and provisional acceptance as a Regional Metrology Organization (RMO) by the CIPM in accordance with the JCRB procedures. 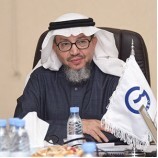 GULFMET is very successful in coordinating the metrological activities of National Metrology Institutes (NMIs) of the GULF countries, making all relevant planning to make the highest contribution to the member states and continuously increasing the level of self-sufficiency and sustainability as an RMO bringing together the GULF NMIs. Although GULFMET was established a short time ago it has come to a good position in the world of metrology with a successful management style. 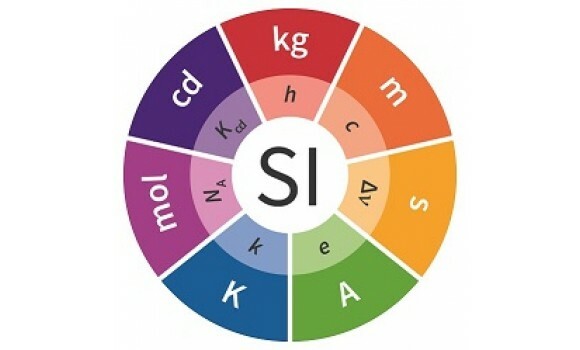 We have full confidence that it will bring its present situation to a much more visible position with the contribution which it will make to the world of metrology in the near future. As an associate member, we would like to express that we are always ready and gladly willing to support member NMIs of GULFMET in any kind of cooperation, needs, and requests. 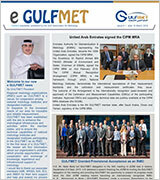 We would like to emphasize that we will be delighted by GULFMET’s success.